Shopping for a vehicle can be stressful and tumultuous, and the entire process can be made even worse when you’ve decided to opt for a used car. After all, these vehicles don’t necessarily lend themselves to reliability or trustworthiness, and customers are generally skeptical of their targets throughout the buying process. Fortunately, this won’t be an issue if you opt for a certified pre-owned car. These vehicles have either been backed by the brand or dealership, all but confirming that a buyer won’t run into any future issues. In the event that the vehicle actually is a dud, the customer will have some type of warranty or protections to rely on. Before you start seeking a certified pre-owned vehicle, it’s particularly important to understand what you’re even pursuing. These applicable cars have previously been owned, but unlike a standard used car, CPOs provide unmatched reliability. That’s because each brand requires that their certified pre-owned cars undergo an extensive inspection process, assuring that every aspect of the vehicle is working as good as new. Dealerships or brands often attach some type of warranty to these vehicles, so in the rare event that a car does fail, the owner is protected. Depending on how old your targeted CPO is, the dealership might even be willing to include the remainder of the initial warranty to the vehicle. So why would a prospective buyer opt for one of these cars? Despite being more expensive than their standard used counterparts, these certified pre-owned vehicles are a lot more dependable and trustworthy than your typical used car. The threat of being stuck with a lemon is a distinct possibility with a used vehicle, but that shouldn’t be a concern when you opt for a CPO. These vehicles are also a logical alternative to new cars, especially if you’re targeting a specific model. If you’ve found that a targeted new car is slightly over your budget, you’ll surely find a better deal among a dealership’s CPO inventory (albeit with slightly higher mileage numbers). 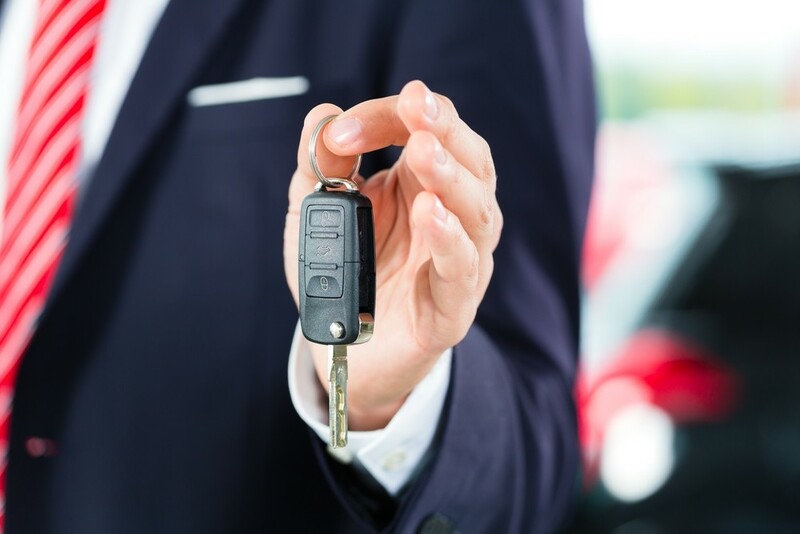 The details mentioned above essentially describe what goes into a dealership’s certified pre-owned vehicle program, but some dealerships will also have their own CPO offerings. Predictably, these variations are rather different than the traditional versions, so it’s essential that you understand the major differences. It’s impossible for these smaller dealerships to rely on an extensive inspection process, especially when compared to the brand’s traditional (and rather extensive) process. Customers can expect that these dealership CPOs aren’t required to meet nearly as many inspection requirements as brand-offered vehicles, and the warranties may be a bit lackluster. Of course, this doesn’t mean that these vehicles should be ignored. Rather, as a customer, it’s in your best interest to fully understand what goes into a dealership’s inspection process. Furthermore, it’s essential that you give any targeted vehicle your own self-inspection. Therefore, if there are any obvious problems, you’ll have recognized them right away. Speaking of self inspection, this is an essential step during any car-buying process, regardless of whether you’re opting for a new or used ride. By thoroughly looking over every nook and cranny of a targeted vehicle, there’s a better chance that drivers will recognize any particular issues. Of course, whether or not the pre-owned vehicle is actually backed by the brand or the dealership, you still want to be aware of issues like inconsistent upholstery materials, which could be an indication that the car has experienced water damage (which can drastically impact the vehicle’s mechanics). You’ll also want to give the vehicle a brief test drive, as this jaunt should identify any odd sounds or vibrations coming from the engine (which are usually indicative of a much larger problem). Finally, as a customer, you shouldn’t feel apprehensive about asking for any documents concerning the car’s actual certification and history. A certification checklist is certainly important, as this will clue you in to what the brand or dealership’s inspection process actually entails. You can also ask for a detailed vehicle history report, which should provide some insight into any previous accidents or collisions. Just because the vehicle is classified as certified pre-owned, doesn’t mean that the listed price is definitive. Rather, as a customer, you should be looking to negotiate the price of the vehicle in your pursuit of the best possible deal. If the dealership refuses to give in to your specific demands, then you shouldn’t have any reservations about shopping around for a vehicle that actually fits within your budget. By having multiple options, you’ll find yourself with a bit of leverage during the negotiation. Now, it’s important to remember that negotiations don’t solely have to focus on the value of a vehicle. Rather, you can look to secure some type of upgraded warranty, thus providing you with even more protections. You might be able to get the dealership to include some type of return policy, which will provide protection if you discover that your recently-purchased car actually isn’t actually a proper fit. Of course, since you’re going to be opting for a non-new car, it’s important to remember that you might not come across a vehicle that contains all of the features and amenities you were seeking. If you’re focused on finding a vehicle that contains these attributes, then you’re better off pursuing a new car. By opting for a certified pre-owned car, you’ll have to maintain a bit of flexibility.